Does the Post Office Horizon IT dispute boil down to this? In the High Court today, the Post Office will argue for the judge in the Horizon IT trials to sack himself. The Post Office is concerned that the judge’s criticisms of the Post Office in his first judgement could affect his future three judgements. The Post Office accuses the judge, Sir Peter Fraser QC, of bias. who is to be believed – system owner or user – when one side says the computer system was robust and reliable and the other side says it wasn’t working as originally intended and was producing unexpected outputs? The Post Office says in essence: the losses shown on Horizon were real and were the user’s responsibility, the users in this case being sub-postmasters. The users’ counter-argument is in essence: we didn’t take any money and the losses shown on an imperfect Horizon were unexpected outputs. Not our fault. is the aircraft or car manufacturer correct when asserting that it was the user’s fault (pilot or driver). Or is the manufacturer not owning up to IT faults and blaming the user? Major aviation incidents are investigated independently by statutory bodies. But the Post Office is not automatically subject to any statutory investigation when its IT is alleged to have gone wrong. It could be said that the four High Court trials over the Horizon branch accounting system are the equivalent of the aviation world’s statutory independent investigation. The big difference is that Boeing or Airbus cannot ask for the head of an independent inquiry into suspected IT problems after major incidents to be sacked. The Post Office can. Is the Post Office harming its reputation by continuing to fight sub-postmasters in High Court Horizon IT trials? 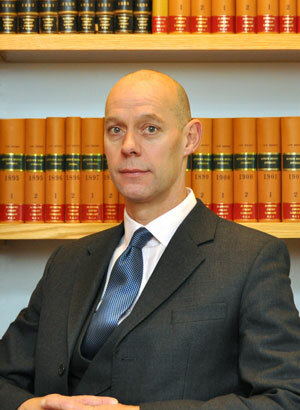 The head of the High Court’s Technology and Construction Court, Sir Peter Fraser QC, in his judgement on the first Post Office trial over the Horizon IT system, referred to Post Office’s attempts to protect its reputation in some of the evidence it gave to the court. But is the Post Office instead harming its reputation by seeking to remove the judge which extends the length of the trials and adds to costs? Will this tweet yesterday afternoon from a postmaster prove typical of the reactions of current sub-postmasters? Financial journalist Paul Lewis who presents BBC Radio 4’s “Moneybox” has described the Horizon IT controversy as a “real scandal“. MPs have described the Post Office’s actions as a “national scandal”. During the High Court trials, the Post Office has depicted sub-postmasters who are witnesses in the case as liars and has accused a High Court judge of bias. It criticised its own forensic accountants Second Sight who produced a report that, in part, supported some of the sub-postmasters who had complained about losses on the Horizon system being computer-generated and not actual losses. Is the Post Office’s reputation being further harmed because, as a public institution, it has an in-built resistance to admitting it could ever have been wrong? Paid by partly out of public money, a judgement nearly double the length of a typical book is expected tomorrow on the Horizon High Court case. The judgement relates only to the first of four High Court trials that focus on the Fujitsu-built Horizon accounting system used by the Post Office. The length of the judgement is a reminder of the huge costs of the case, which could run into tens of millions of pounds. The publicly-owned Post Office could have avoided the hearings by settling with the sub-postmasters. More than 550 sub-postmasters are suing the Post Office in a case that is, in essence, about whether sub-postmasters were responsible for losses shown on a robust Horizon system or whether the losses were not real and were generated by an imperfect system. The Post Office has held the sub-postmasters responsible and is defending the integrity of Horizon. The sub-postmasters are seeking compensation for lives ruined because they say the Post Office required them to make good losses that were not real. Meanwhile the Department for Business Energy and Industrial Strategy, which is responsible for the Post Office, has sought an assurance from the Post Office’s CEO Paula Vennells that departmental funds meant for transformation and business investment will not be used on the Horizon litigation. The BEIS’s top civil servant goes further: he requires regular written assurances that BEIS funding will be used for the intended purposes only. The Post Office has set aside at least £5m for the defence of the Horizon case and it concedes in its accounts that the costs could be much higher. A letter from Alex Chisholm, civil service head of the department, to Vennells, has been disclosed under the Freedom of Information Act to campaigner Tim McCormack. “As you will be aware, the Minister wrote to Tim Parker [Post Office chairman] on 20 December 2017 to set out the basis for providing transformation funding to Post Office and her expectations on how this was to be used. “The Minister emphasised the need for funding to be used prudently and efficiently in accordance with the objectives of the three-year strategic plan whilst recognising the need for some flexibility for a commercial business engaged in investment projects. “In your recent request, you indicated you intended to use BEIS funds for non-transformation related spend spcificially in relation to the ongoing Horizon litigation. “I understand that this is now no longer the case and UKGI [UK Government Investments] have communicated to your team the requirement that BEIS funding is]only to be used against those projects which are related to transformation or approved investment activities. “As Principal Accounting Officer, I am personally responsible for ensuring the department has a high standard of governance and exercises effective controls over the management of resources, including those through its partner organisations. The letter from Post Office’s “parent” department BEIS offers no support for the Post Office’s defence of the Horizon litigation. Indeed BEIS’s letter could be seen as suggesting that the litigation would not be a prudent use of BEIS’s public money. If the Post Office’s defence of the litigation is not supported by its own parent organisation, who is supporting the Post Office’s spending of millions on the Horizon case? Nobody. Except the Post Office and its lawyers. Certainly not the public nor the media. The Financial Times, Daily Mail, Telegraph, Times and BBC’s Panorama and The One Show have published or broadcast items on the Horizon dispute that will not enhance the Post Office’s image and reputation. Indeed the Post Office’s determination to continue its defence could be having the effect of a reverse advertising campaign. Would any corporation want to spend millions of pounds on a campaign to harm its image and reputation? The longer this High Court case continues – and it could continue for years with appeals – the more it may harm the Post Office’s image. It may even prove increasingly difficult for the Post Office to find business people willing to take over local Post Office branches when they come up for sale. Who would be ideologically motivated to run a village Post Office if the corporate Post Office image is not what it was? The big question that remains unanswered is: do Post Office directors have the wherewithal to change course in this litigation and settle? Such a change would require humility and humanity. 737 crashes – will the full truth take years to emerge? Following the Ethiopian Airlines crash, the US Federal Aviation Authority says the Boeing 737 Max 8 is airworthy. Why then have several countries – including the UK – grounded the planes? Why do they not trust the FAA’s assurances? The following is part of a Campaign4Change article published in 2017. It shows how it may take many years to establish a link between major incidents, particularly when the integrity of a large organisation’s equipment is in question. It also shows how the seemingly impossible – from a designer’s perspective – can happen. Investigations into rare crashes of 737s show that it’s possible for a major corporation to be mistaken when it clears its own equipment and blames the equipment’s human operators. In the case of the 737 incidents, the suspect component at the centre of investigations, a power control unit, was based on an old design (certified in the 1960s) – and straightforward in its operation. Boeing told the National Transportation Safety Board that, following the crash of Flight 427, there was a lack of evidence of technical malfunction. Boeing pointed to evidence of the actions of pilots. Boeing contested the NTSB’s draft finding that blamed technical malfunction for 737 incidents and crashes – but Boeing had to abide by the independent board’s final decision. The NTSB is independent of manufacturers. It even has the power to exclude equipment owners from participating in the inquiry. The 737 is in use in 111 countries. Its reliability record is the best in the world. On average more than 2,000 737s are in the air at any one time. It has carried 17 billion passengers – about twice the world’s total population. It has flown about 120 billion miles, the equivalent of 640 round trips from the earth to the sun. The design of the 737 rudder system had been considered fail-safe. It was thought it would work properly even when problems occurred. The system had built-in “redundancy”. Every lever inside the lower power control unit had a second lever that moved in concert, in case one should break. There were two hydraulic systems in case one should fail. There was a standby actuator in case the main power control unit stopped working. Even so, after thousands of tests, investigators found it could fail in very rare circumstances. After the unexplained crash of Flight 585, the National Transportation Safety Board kept tabs on 737 rudder problems even without evidence they were the likely cause of any serious incidents. 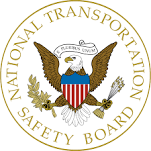 The existence of the National Transportation Safety Board is a check against parties protecting their own corporate interests, namely the reputation of their equipment, after a major incident. Is £154m Verify identity system really the IT failure it seems to be? Will £154m spent on Verify be wasted because Sir Humphrey doesn’t like its creator, the Government Digital Service? Verify is a system millions of people use to confirm they are who they say they are. It is used mainly for claiming Universal Credit but was intended as a cross-government identify system. Verify was supposed to have 25m users by 2020 and now the estimate is 5.4m. Verify was supposed to be used for Universal Credit but only 1/3 of claimants are able verify their identity online. This means the DWP may need to spend £40m on manually verifying claimants identities. The government will stop funding Verify next year and the scheme will move to the private sector (Barclays, Digidentity, Experian, Post Office and secureidentity/Morpho), which will leave departments that currently don’t pay the full costs having to pay market rates. Verify seems to be a £154m disaster. But is it? It’s hard to build a government ID system that is easy to use and provably secure. A 100% secure system is one nobody uses; and the easiest system to use is one with no security. A government ID system has to get the balance right: easy to use and resistant to fraud. Verify worked well when I used it. The question not being asked about Verify is whether some senior civil servants in departments are trying to kill off the scheme because it is a cross-government initiative that dilutes their autonomy and, worse, is built by the much-unloved Government Digital Service, a user-centric organisation that was set up in 2011 and run on non-hierarchical lines by IT professionals who had not come up through the ranks of the civil service. Top people at GDS in its formative years were different – not the usual life-long civil servants. They were not innately secretive. They were opposed to single supplier mega IT contracts. They believed in learning from mistakes and moving on. They were keen to stop IT in government being seen as a barrier instead of a tool. They focused on the user’s needs instead of the department’s. Understandably, the Sir Humphreys never liked GDS. Indeed the National Audit Office report has the extraordinary revelation that some departments refused to pay GDS’s invoices for the Verify service. “Moreover, most departments have not paid the Cabinet Office and GDS even for subsidised services. HMRC has paid £6.7m for its Verify usage, but between 2016-17 and 2018-19 no other department paid for using Verify, despite being issued invoices by the Cabinet Office. Hardly surprising that GDS leaders in the early years – all of them – soon left the civil service, perhaps because they could not acclimatise to its rigid conventions. Sir Humphrey has indeed had the last word. GDS is not what it was: its culture has been blended into the civil service. Its numbers have more than trebled to around 850 people and its influence across government is limited, to some extent, to that of a standards-setting body that is known for its creation and continuing support of GOV.UK. GDS’s job applications are now worded in abstract, platitudinous officialise. GDS is a part of government, almost a department in its own right. Even the Infrastructure and Projects Authority, which is run along Sir Humphrey’s secretive lines, has seemed to dislike GDS and particularly Verify. It has long wanted to kill off the scheme. Well done Sir Humphrey. You have won the battle to ensure that a new organisation not run on conventional civil service lines merges into the culture it originally avoided. Even if Verify is not dead, the innovative open-minded ground-breaking influence of GDS certainly is. Sir Humphrey ‘s answer to all problems was to set up a committee or new departmental unit. The idea was to employ more civil servants or create new job titles at higher pay grades – a point perhaps not lost on the health secretary Matt Hancock. Hancock has announced plans to deal with the problem of NHS IT by setting up a new division. It will create new civil service jobs and give different titles to existing officials. Is the remit of the new division – called NHSX – set out in terms vague and unaccountable enough to put a smile on Sir Humphrey’s face? “NHSX will have an open door to allow discussion with health tech industry that is developing products to make sure that we are harnessing the best innovation to improve the NHS,” Hancock told the HSJ. He said the model now agreed would make NHSX a joint-venture between NHS England/Improvement and the Department of Health and Social Care. It would have its own chief executive. NHSX will have broad responsibility for overseeing hundreds of millions of pounds in central funding for digital technology, handle central IT contracts and set national policy for digital technology. Senior responsible officers for digital projects, most of whom are currently employed by NHS England, would be moved into NHSX. HSJ was told this would include NHS chief information officer Will Smart, chief clinical information officer Simon Eccles, and interim chief digital officer Tara Donnelly. NHSX will second staff from other organisations, primarily NHS England and DHSC. It will begin operating from April and take over full responsibilities by October 2019. NHS Digital chief executive Sarah Wilkinson said NHSX will create cohesion, and concentrate work and talent in one unit. “The program of digital transformation ahead of us is extraordinary in terms of its scale, its complexity and the extent to which it can change lives,” she said. The Register asked whether Hancock’s plan will be the National Programme for IT [NPfIT] mark 2. Government Computing said in 2018 that NHS IT investment of nearly £13bn was approaching levels of the (notorious) National Programme for IT in the NHS. With millions of people on waiting lists and rapidly falling decreases in people seen in A&E within four hours, the NHS does not need another pointless IT initiative of the sort we have seen many times over 30 years. None of these countless and costly national and regional initiatives over three decades has worked as originally intended. The main NHS IT improvements have been those achieved by autonomous hospitals and GP practices that have implemented effective but non-standardised systems. Hence systems in the NHS don’t usually talk to each other. Interoperability ought to be the top priority for NHS IT. It’s not. The Whitehall fashion is usually for vanity projects: digital statues built to honour the memory of a particular minister. Hence, the attention is on “driving the adoption of innovative technologies” instead of spending relatively small sums to enable clinicians to have systems that communicate across the NHS. As soon as new ministers have their feet under the desk, they are handed a briefing paper on making the NHS a technological world leader. The paper will not mean anything or commit the minister to anything, but it will give the incumbent something to talk about at conferences. It may even make ministers feel they are not entirely surplus to requirements. Hancock’s plan is indeed Sir Humphrey’s dream: a new division, more civil servants, new job roles and higher pay grades. Will NHSX make any difference to you and me? That’s missing the point. The priority for 30 years has been setting up a new division, putting in place a new leader, writing a new mission statement and preparing a series of business plans. Not forgetting an expansion of the civil service payroll. Campaign4Change awards Matt Hancock the 2019 “Under The Thumb of Sir Humphrey” award. It’s a pointless award. As pointless as NHSX. Thank you to @TimMorton2 for alerting me to the HSJ’s interview with Hancock. Innovation in healthcare: have we learned from mistakes? “We all recall Einstein’s own perspective on insanity (doing the same thing over and over again and expecting different results). “It’ll be a car crash … death by consensus and committee.